This ocean liner salt and pepper set by Camark pottery was a treat to find today while we were going through the many, many boxes of a recent estate from a retiring antique dealer. These are Camark Pottery salt and pepper shakers and stamped on the bottom with the number 566. That’s not exactly important, but when you spend time researching and collecting antiques, it is always a good idea to keep track of different marks, especially as many of these things become rarer and rarer as time passes. Camark Pottery is better known for its S & P salt and shakers, but we like these ones just as much, maybe even more! It’s definitely a unique set that any salt and pepper collector would adore! The red and blue salt and pepper shakers are what make for the smokestacks in a white ocean liner ship base. This would be a great antique vintage item to add to a nautical or beach decor design theme. Many people are not familiar with Camark pottery collections, but the company was founded in 1924 in Camden, Arkansas by Jack Carnes. The company was later acquired by Mary Daniel and maintained operations until 1987 when it closed. If you have a set like this, it’s estimated collector value depends on a number of different factors, such as its condition and whether or not it is a complete set. Recent sales online suggest that its current market value ranges between $15 – $35, although of course supply and demand certainly contribute to its pricing. When pricing antiques and collectibles, it is very important to consider the rarity and uniqueness of an item. 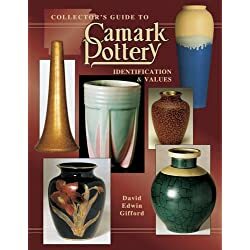 There are a couple of great books that can help you identify and value old Camark pottery pieces that are definitely worth checking out also. While most novelty salt and pepper shaker sets are not exceptionally rare or valuable, they are becoming quite the treasure to find because as more and more people dive into the “declutter and become a minimalist” fad, there are many items being lost and destroyed. It’s sad in many ways, but it is also nice to know as a collector your items certainly will continue to increase in value! While we are planning to keep these for our own salt and pepper collection, if you are looking for something similar, we recommend shopping on eBay – you never know what you might find! 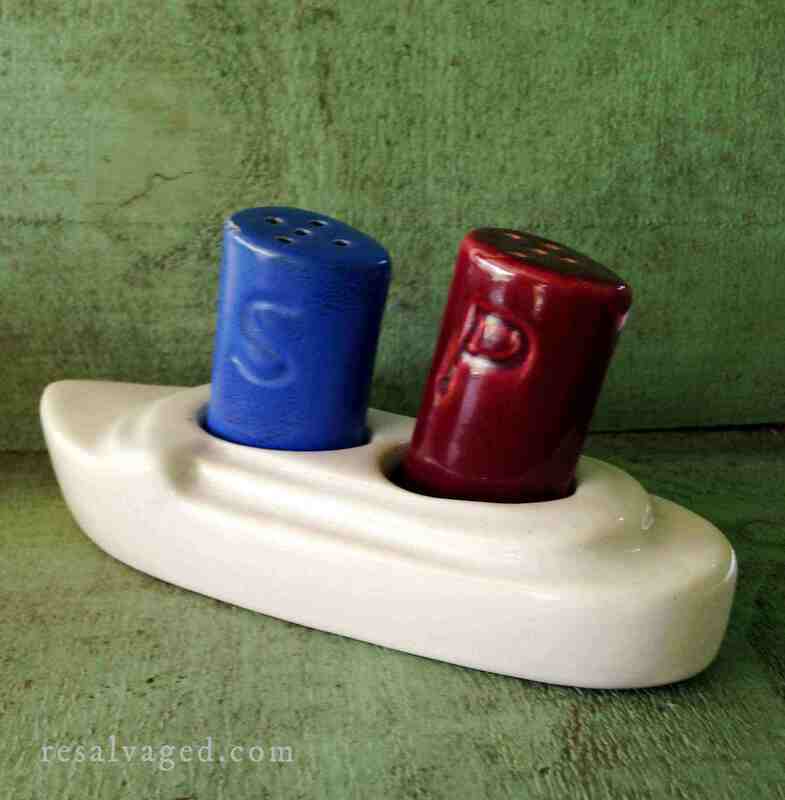 Do you have any thoughts on this ocean liner salt and pepper shaker? Your comments are always welcomed below!